Good morning. It's Tuesday, Dec. 11. • A move to strip protections from California's streams. • Two nuns acknowledge embezzling money to gamble. • And the magical times when it snowed in Los Angeles. Under the administration’s plan, protections would no longer apply to most seasonal ponds, wetlands, and streams. The Trump administration is preparing to announce plans to weaken federal clean water rules that protect millions of acres of waterways and wetlands from pesticides and other pollutants. Urged by agriculture and real estate interests, the move threatens up to two-thirds of California’s inland streams. 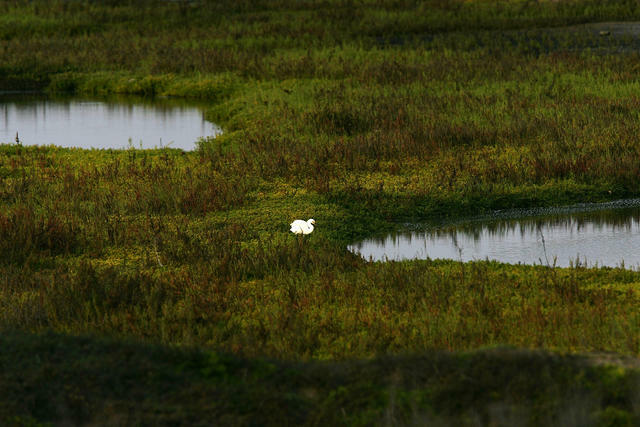 Environmentalists said it represented a historic assault on wetlands regulation. A governor on his way out. A state vault spilling over with nearly $15 billion. And a powerful legislative supermajority. Some Democrats in Sacramento are itching to spend, proposing tens of billions of dollars in social and educational programs during the opening week of the new legislative session. Among the most controversial: a bill to extend Medi-Cal coverage to adult immigrants in the country illegally. 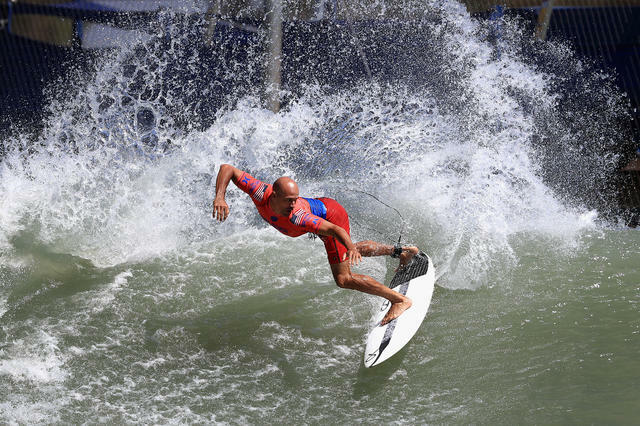 Kelly Slater competed in the World Surf League Surf Ranch Pro in Lemoore on Sept. 9. One of the most celebrated surf writers, William Finnegan, wrote about one of the greatest surfers, Kelly Slater, and his bid to pull off one of the sport's boldest innovations. Slater's Surf Ranch, in the farmlands south of Fresno, churns out virtually flawless waves on demand. He hopes it will democratize the sport. Others worry it will ruin it. 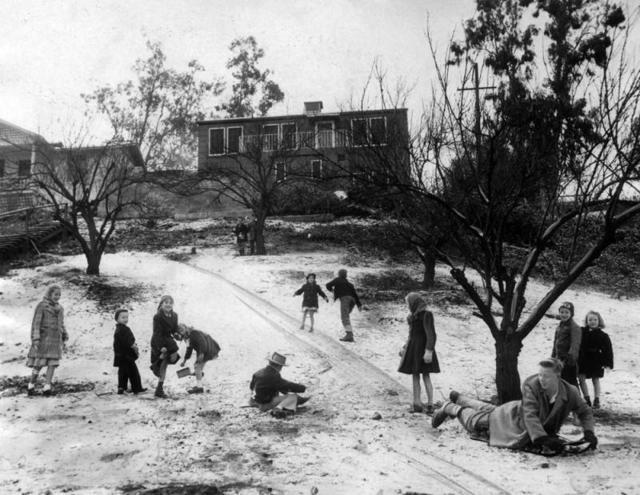 Kids sledded in Los Angeles in the 1940s. In the winter of 1962, 7-year-old Debbie Altieri looked out the window and saw snow. She told her mother, who dismissed the idea as preposterous. "I kept insisting," Altieri recalled years later. "She finally looked out a window, then started crying." Los Angeles rarely gets snow, but every decade or two something magical happens. Curbed published a photo tour of L.A.'s snow days of yore. SFGate.com did a similar look back for San Francisco in 2011. 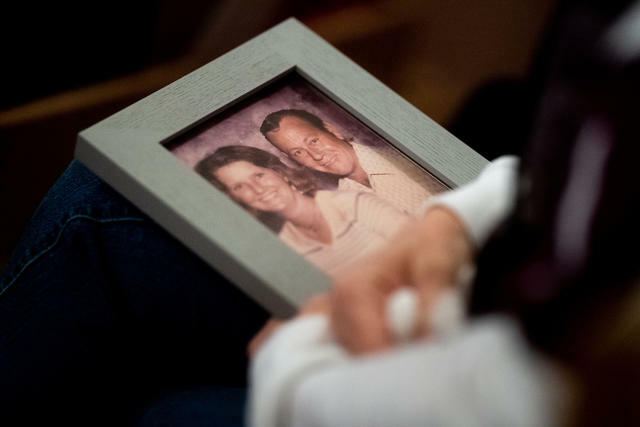 Laura Martin held a picture of her father, who died in the Camp fire, during a vigil in Chico last month. There are no young people on the list of dead from Northern California's Camp fire. The 46 named victims so far were, on average, 71 years old. The age profile of the victims is a reminder of how wildfires disproportionately prey on people who are too frail, or too stubborn, to flee. San Francisco's renowned food scene is being strangled by a staffing shortage as workers flee the area's insane housing costs. Numerous restaurants that have been forced to close. Others have resorted to having customers stand in line to place orders or relying on scaled-down menus that can be prepared by fewer cooks. Thieves made off with 60 pregnant goats from a farm in Santa Clara County. In an elaborate heist, they shut off power to the electric fence, cut a hole through it, and lured the animals into a trailer. They haven't been seen since. The owner was heartbroken. "It's just as if someone were to take your dog or cat," he said. "But like 60 of them." Ferndale, northern gateway to the Lost Coast, has been described as quintessential small-town America. It could hardly look more charming than in this video showing the historic downtown decked out for Christmas. 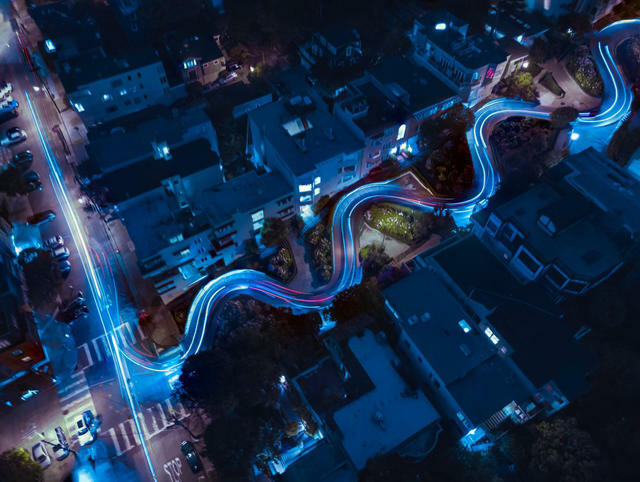 This is San Francisco's Lombard Street. Why is it so crooked? Ironically, the hairpin turns were added to make life easier for residents who were unable get their cars up the formerly straight street. But they couldn't have imagined the Instagram era. Nowadays, the twists attract hordes of tourists — as many as 6,000 a day. It's so bad that officials are taking a hard look at imposing a car toll. The Archdiocese of Los Angeles is seeking criminal charges against two longtime nuns, who acknowledged embezzling as much as $500,000 from a Catholic school and using it to pay for gambling trips to Las Vegas. The women asked for forgiveness and prayers. Long Beach Press-Telegram | A.P. A pastoral setting near the planned Centennial development. 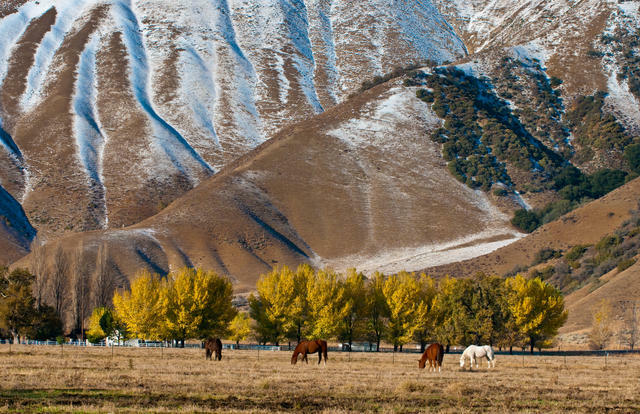 Tejon Ranch Co. wants to build a new city northwest of Los Angeles. As a concession to environmentalists, it set aside 240,000 acres as an ecological conservancy open to the public — except Nick Jensen. After the biologist expressed concerns about the development's impact on plant life, the company banned him along with every member of his botanical group. The majority owner of an apple farm popular with families faced a boycott over the summer after he posted a series of incendiary tweets on race, gender, and politics. Among those who took offense were school district leaders who responded by cancelling planned field trips to the farm. Now the owner is suing the district saying his free speech rights have been violated. John P. Woodbury, founder of the Los Angeles suburb of Altadena, fell in love with deodar trees during a trip to Italy. He had them planted along a mile stretch that was to lead to his planned estate. Years later, in 1920, a businessman had the idea to light the trees, 150 in all, during the holidays. Christmas Tree Lane was born, an elaborate tradition that draws thousands of visitors each year. 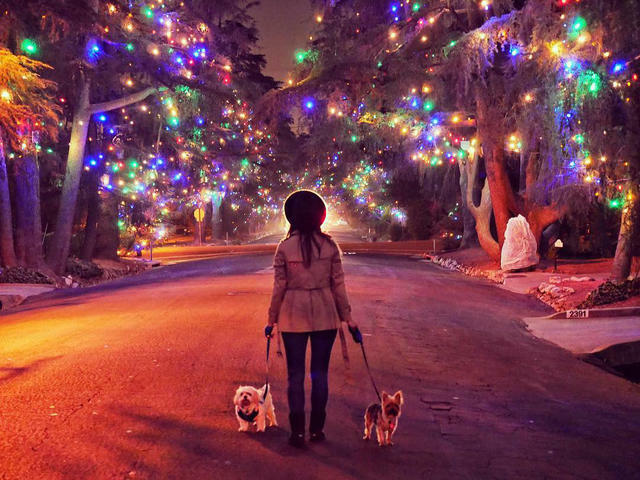 It made L.A. Magazine's ranking of the best places to see Christmas lights. Leonard Knight built the installation as a testament to his religious faith. This is Leonard Knight, an eccentric who made it his life's work to build a massive psychedelic monument to Christianity in the California desert. 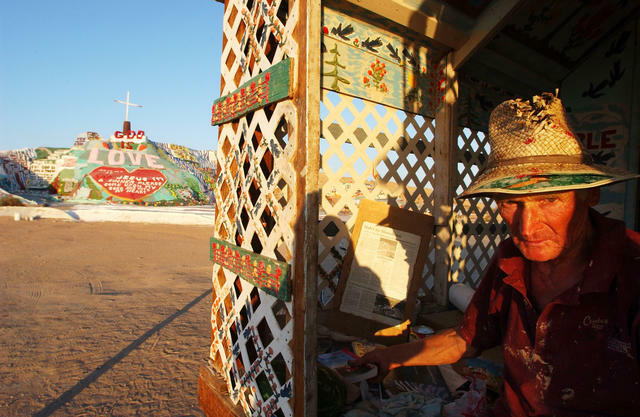 Working with mud, hay, and paint, he spent three decades creating Salvation Mountain near the Salton Sea. The local government once declared it a "toxic nightmare" and planned to tear it down. Yet it still stands today, hailed as a national treasure by Sen. Barbara Boxer and as a masterpiece of outsider art by gallerists. 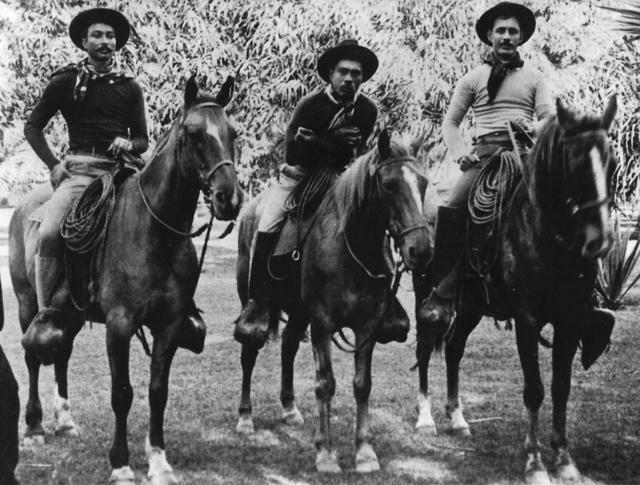 Hawaiian cowboys on horseback in an undated photo. The Hawaiian cowboy is a descendant of the California vaquero. In the late 1700s, a British officer brought cattle as a gift to Kamehameha I, monarch of the Kingdom of Hawaii, who forbade their killing. Within decades, thousands of wild cattle were roaming the Big Island and creating havoc for farmers. Around 1830, Kamehameha III dispatched an emissary to Mexican California who invited three vaqueros to teach Hawaiians how to work cattle from horseback. Hawaiian cowboys became known as paniolos, which etymologists believe is a Hawaiianized pronunciation of español. 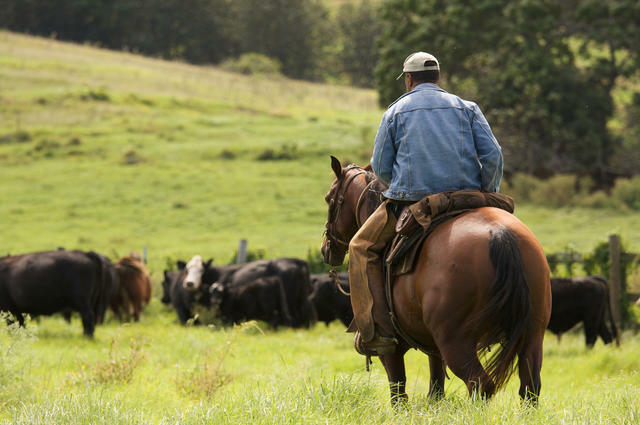 Today, the village of Waimea is famous for its paniolos, who compete in rodeos and operate one of the largest Hereford cattle ranches in the United States. Their traditional dress, as well as certain styles of Hawaiian formal wear, reflect the Spanish heritage of the vaquero.